Every now and again a student’s work is so brilliant that they are sent up to Gail Mitchell and Mike Curtis to show off their achievement. We don’t often take photos of them and publish it in the newsletter but this one was too brilliant not to tell everyone about. 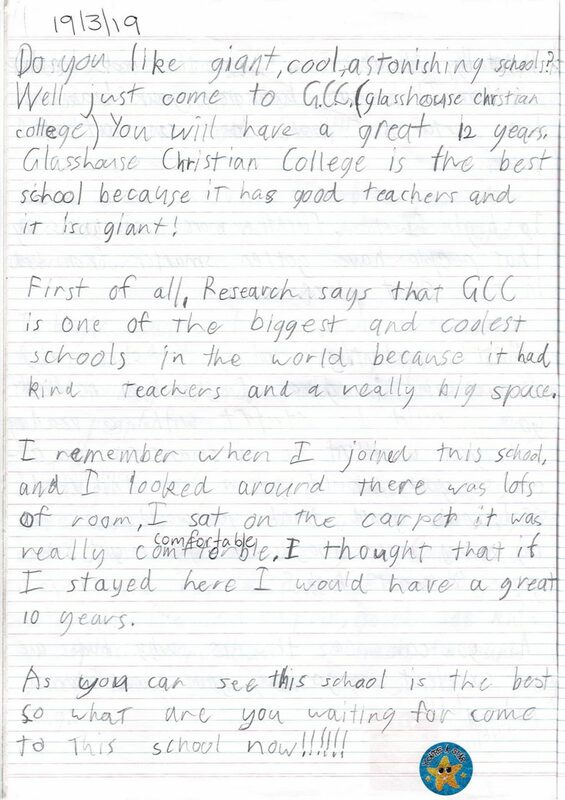 Year 3 have been learning about persuasive writing which is probably the most difficult kind of writing to attempt. All the students rose to the challenge and Oliver Laurens’ work stood out as quite spectacular so we wanted to share it with you here. 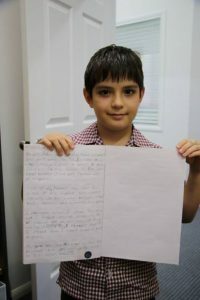 This entry was posted in Primary School News and tagged persuasive writing, Year 3 on March 20, 2019 by sandy.